Want to check an order? Free Sample Swatches Order 10 Free Sample Swatches Of Your Favorite Color, Material, and Style. Shop all our Custom Blinds & Shades products. We offer a wide range of colors, fabrics and styles to suit you, your home's needs and your budget. 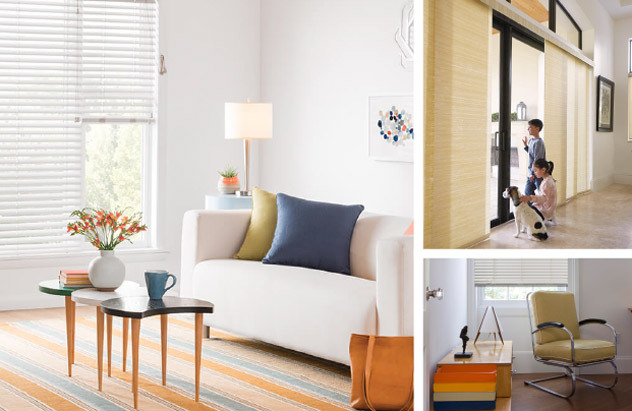 Find the feature that suit your style, family and home. Looking for protection against sunlight and moisture, or buying child-safe shades for your new nursery? We've got the perfect product for you. Shop our collection of Custom Roman Shades. Add a softness to your room with these beautiful fabric shades. Incorporate your personal style with a selection from our extensive fabric collection. Sign up to receive promotional window coverings email offers from Lowe's Custom Blinds and Shades Store. © 2018 Lowe's. All rights reserved. Lowe's and the gable design are registered trademarks of LF, LLC.